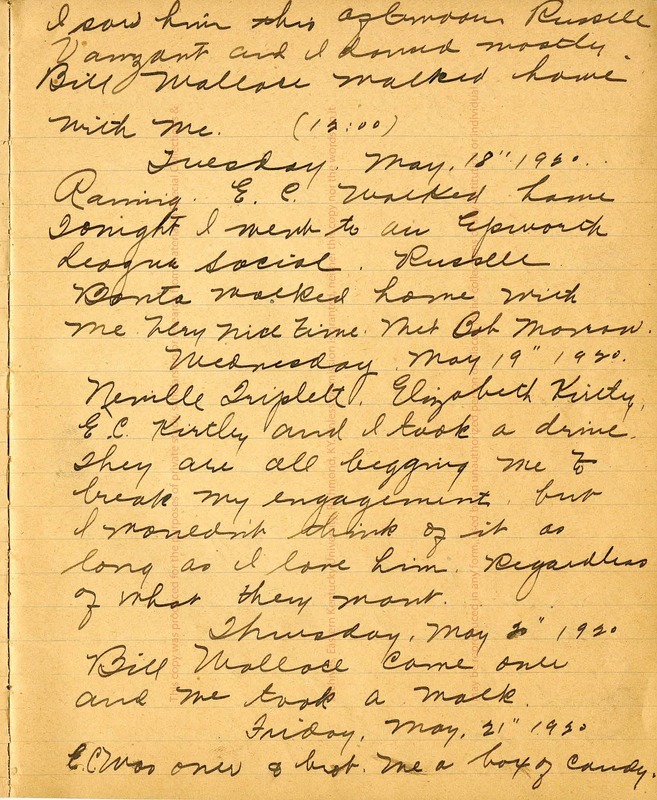 This is a personal diary written by Velma Fay Nisius, around three years before her marriage to William Luxon Wallace, referred to in the diary as Bill Wallace. 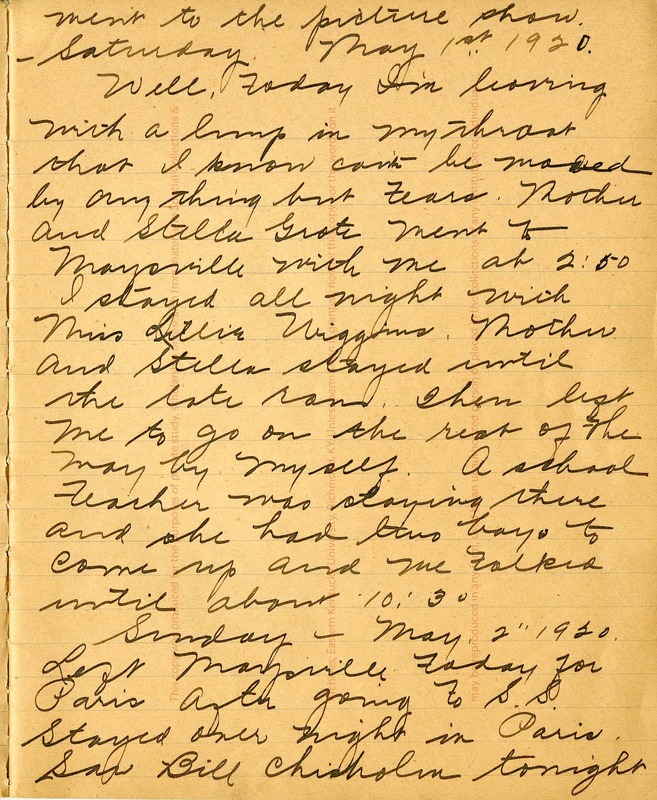 The diary holds the point of view of a young woman involved in post-war American culture within Kentucky. 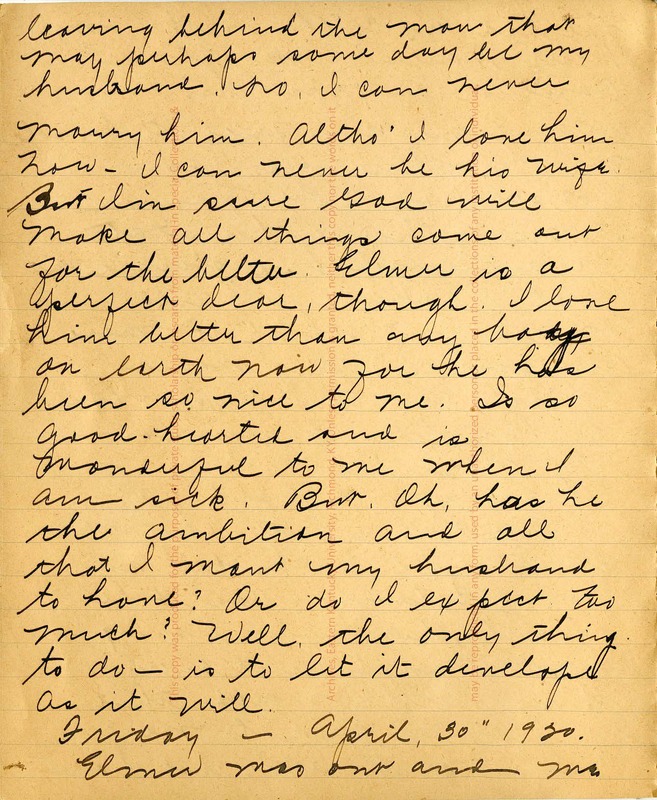 This point of view touches particularly on dating culture of the time, Velma's personal view of marriage, and some hints to early flapper culture, showing the culture and events that surrounded both William Wallace and Velma Nisius before and during their interactions with one another. 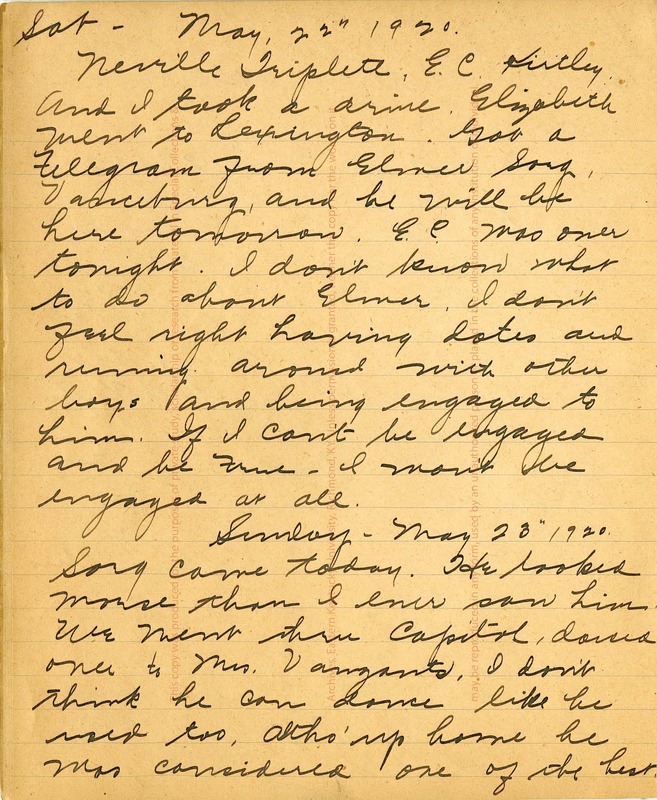 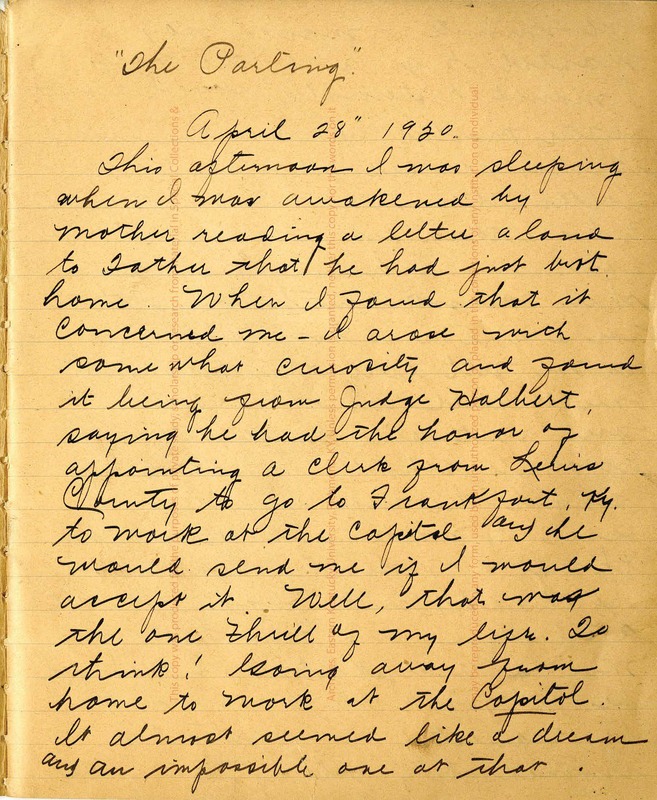 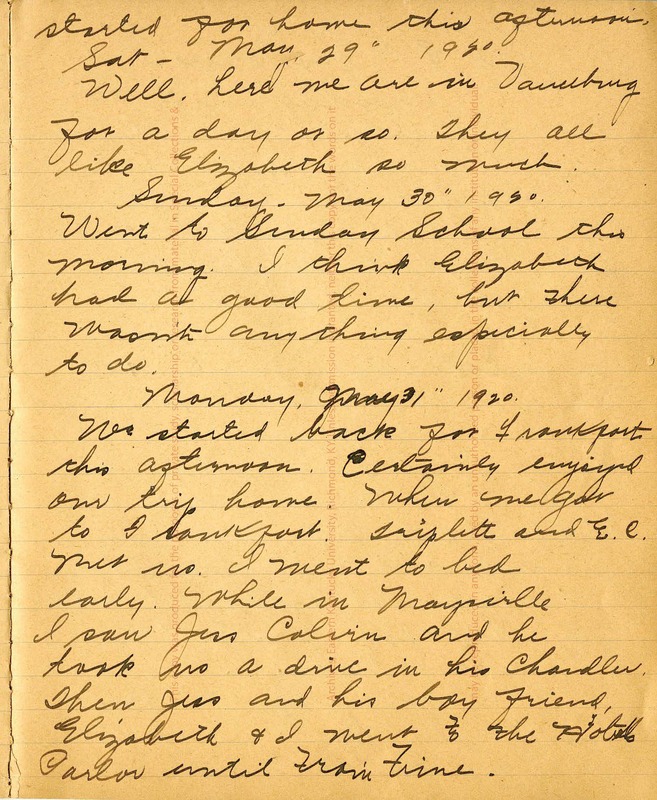 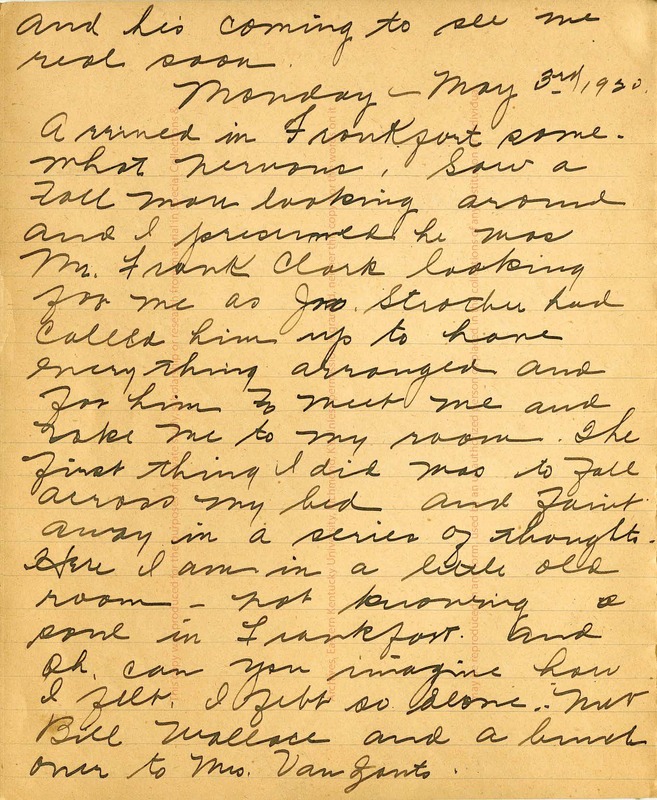 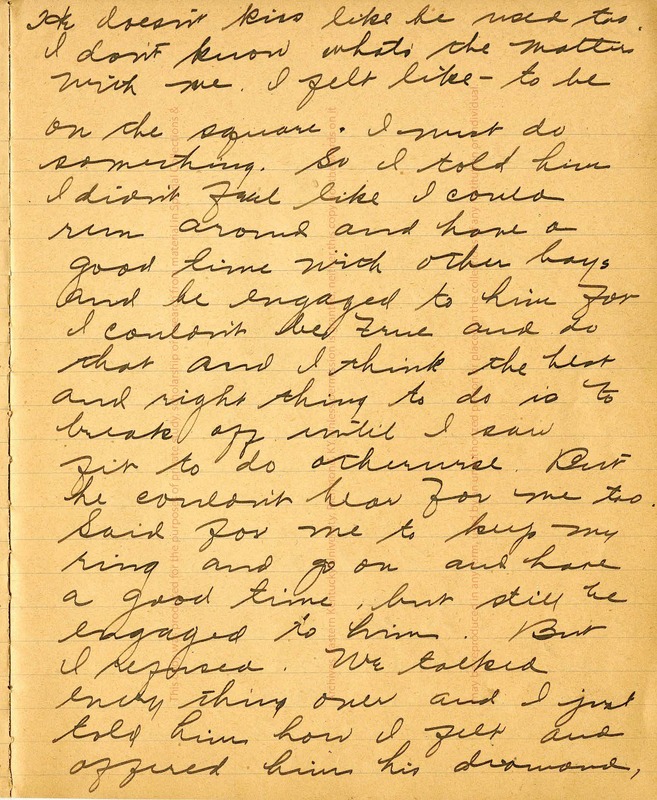 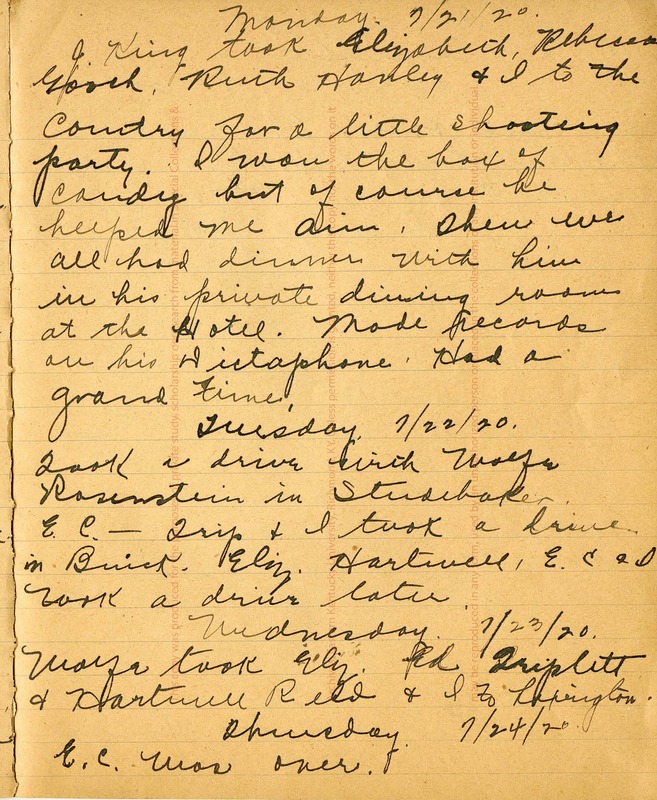 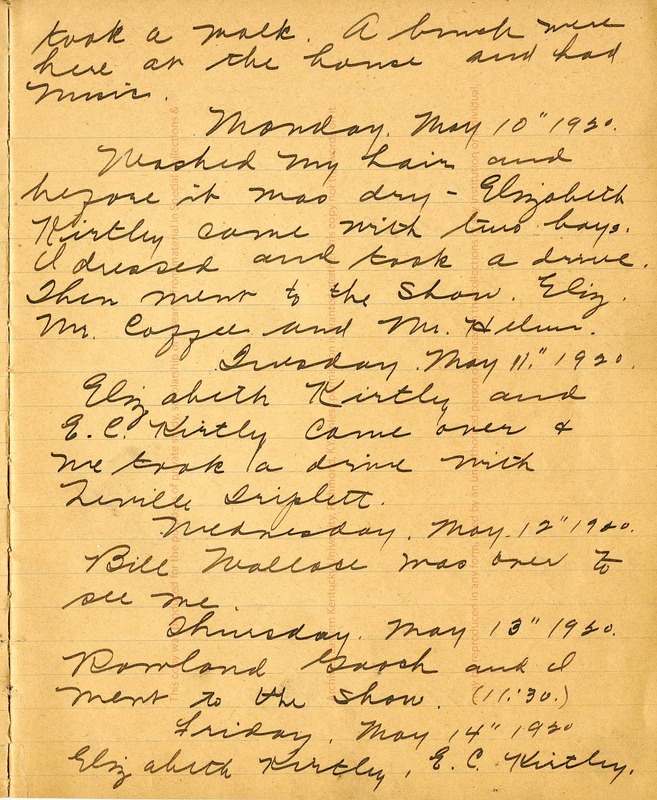 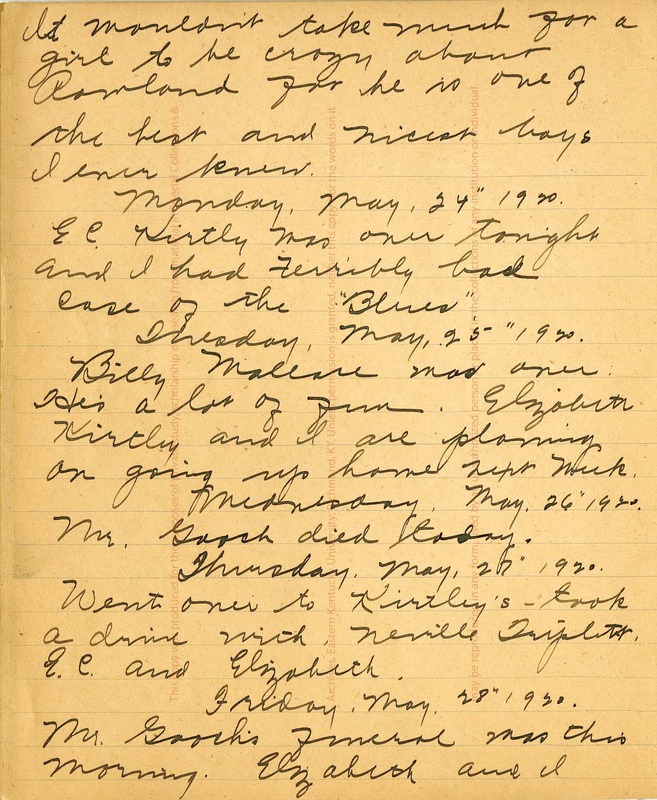 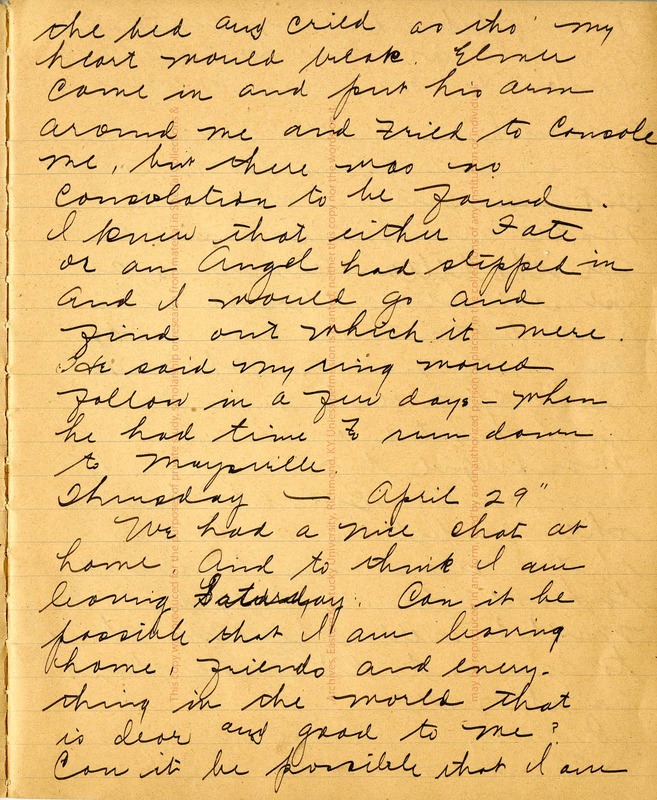 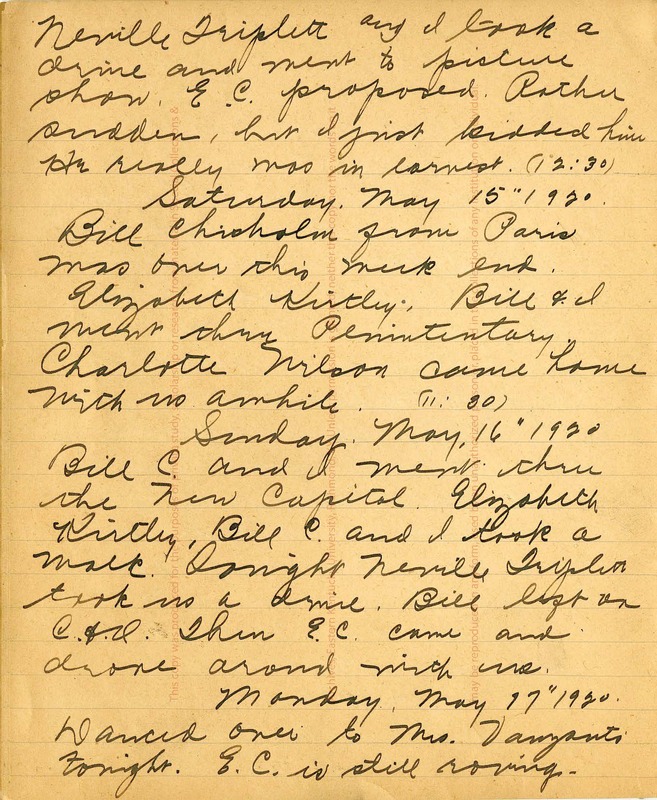 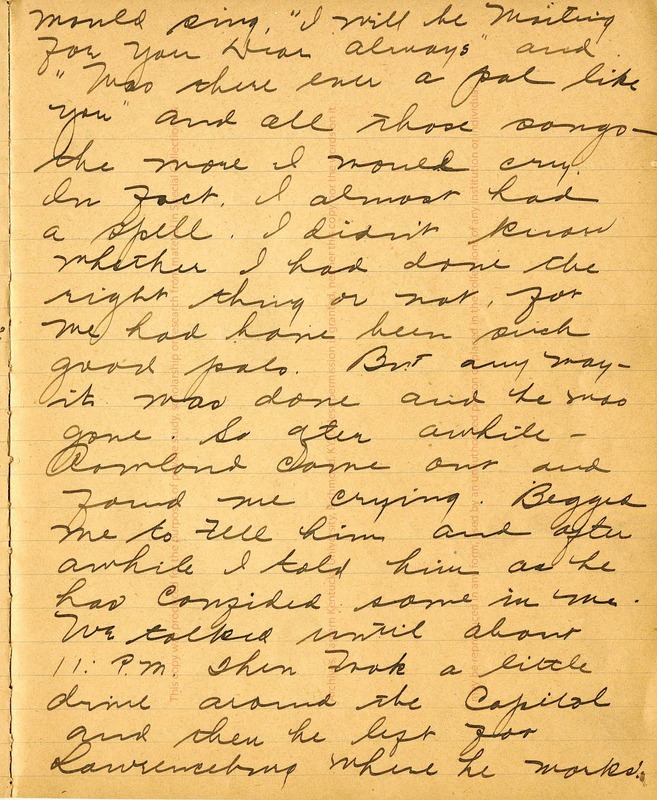 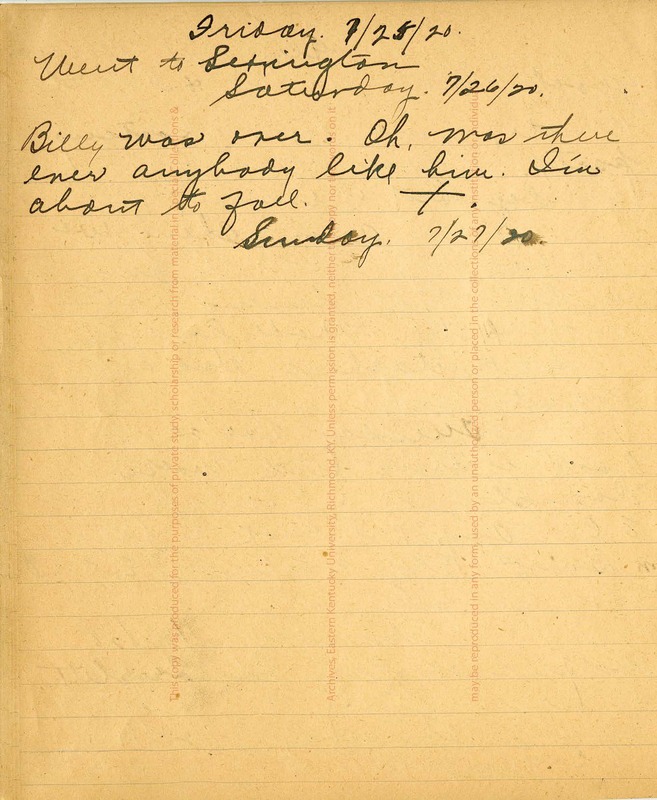 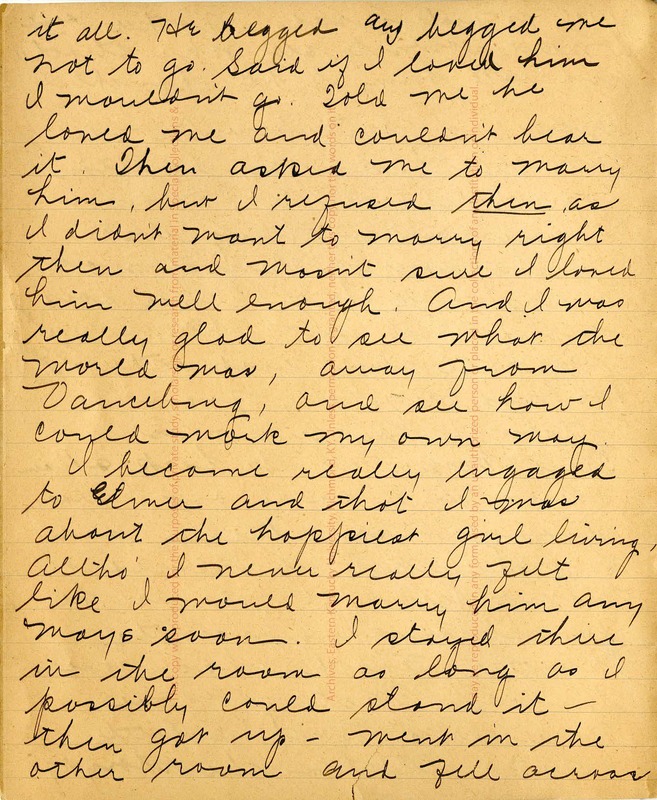 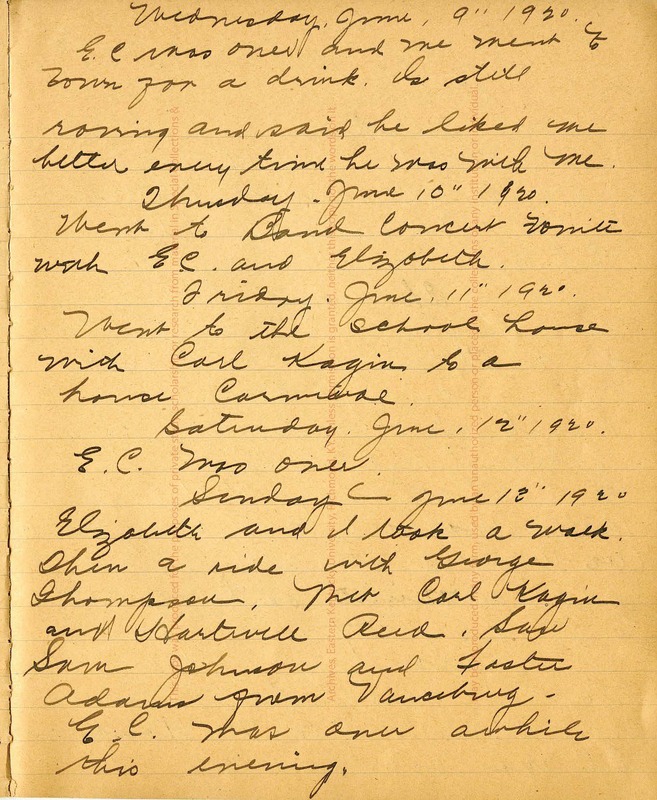 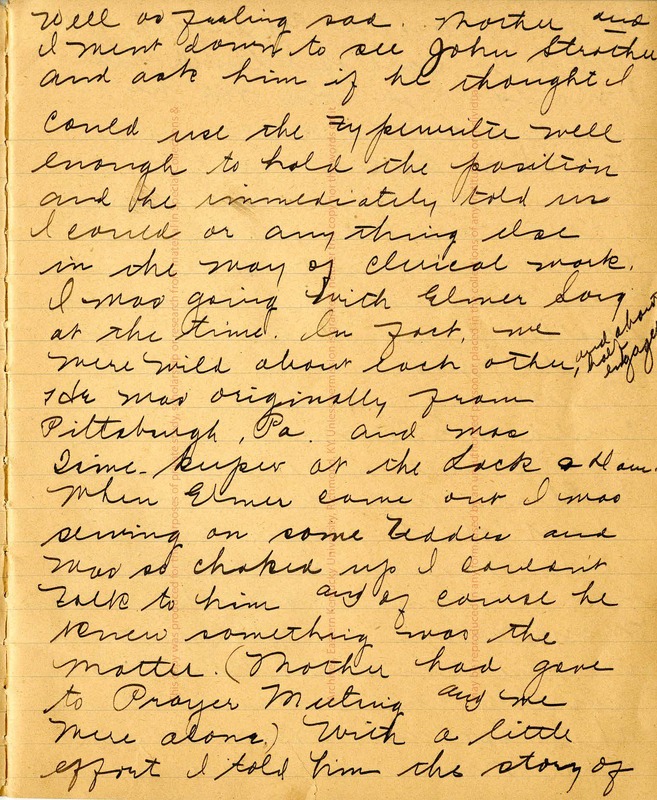 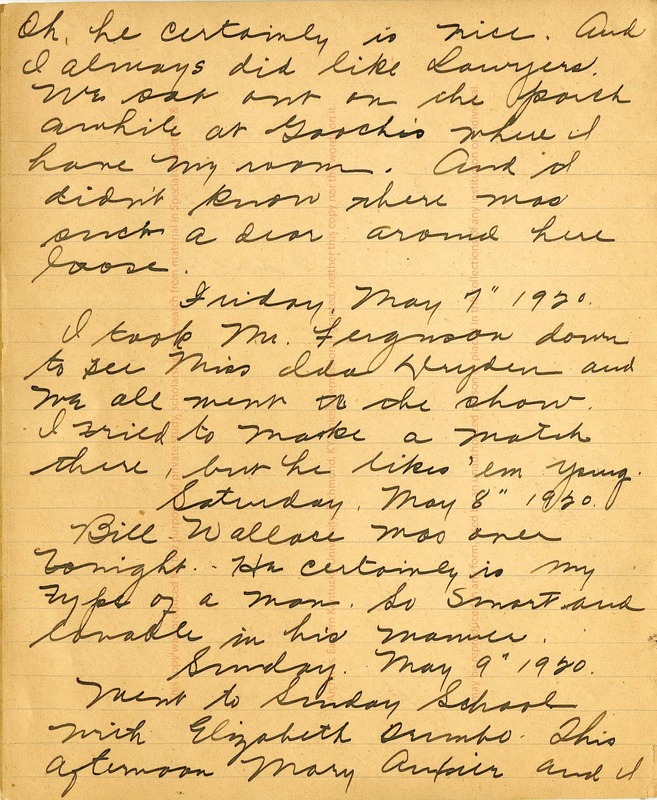 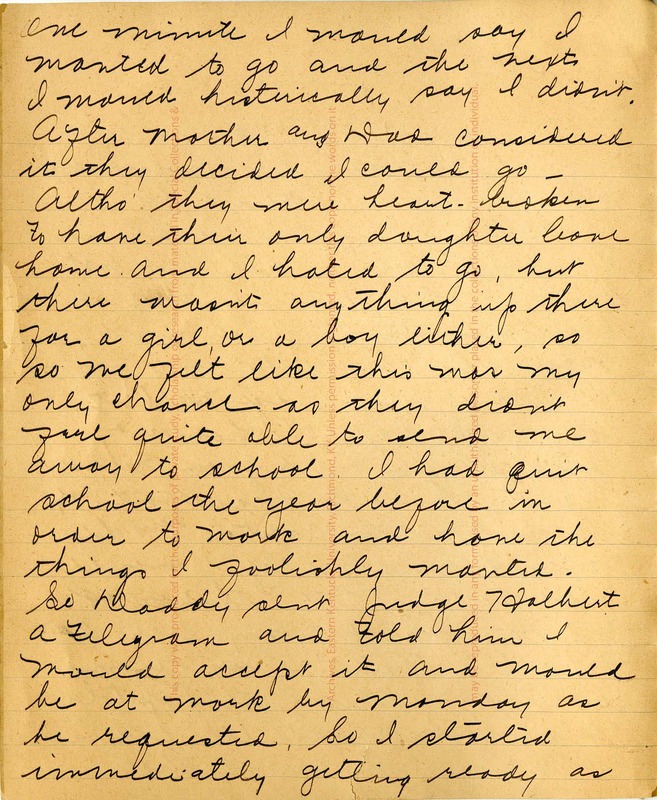 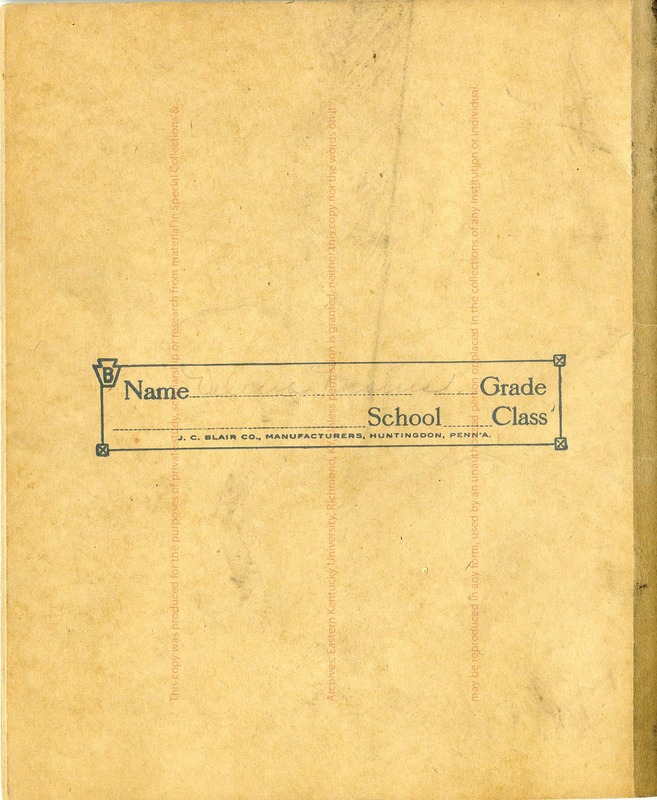 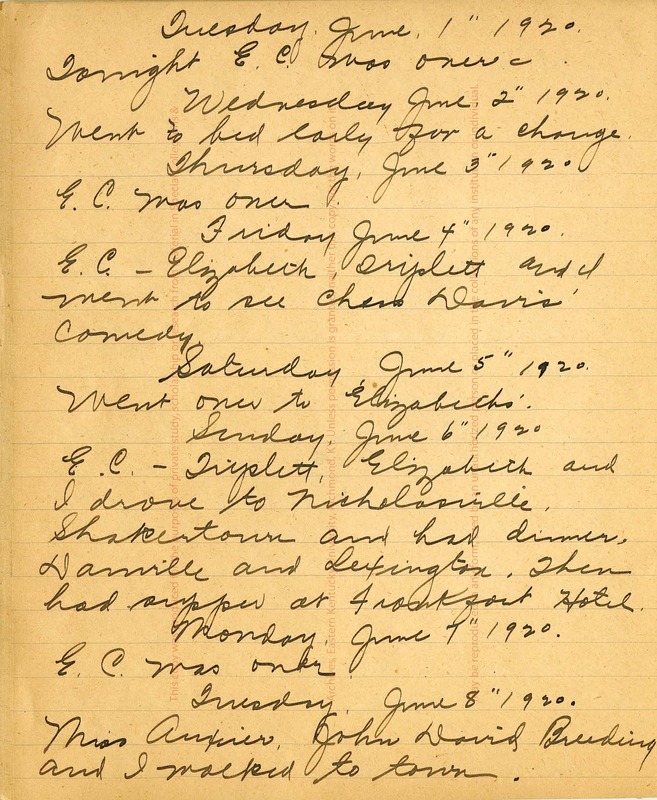 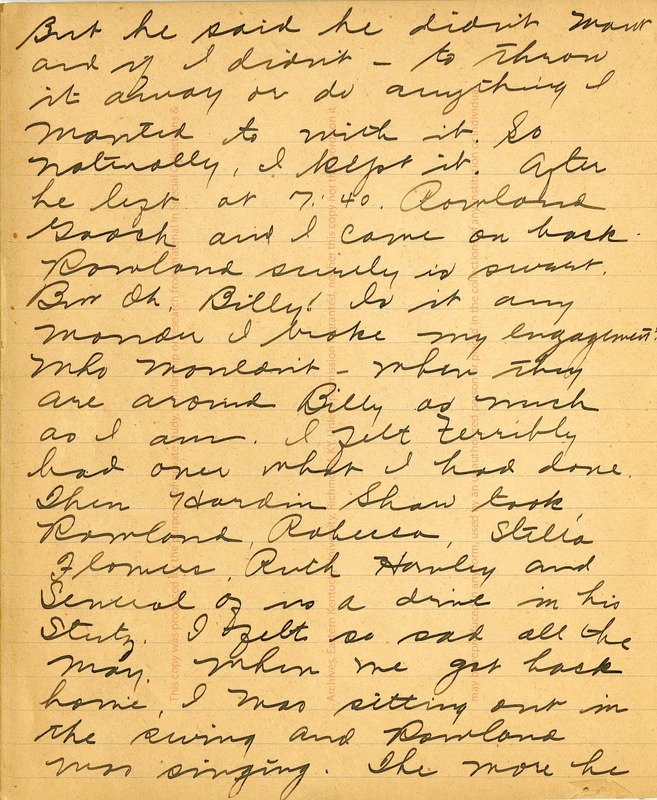 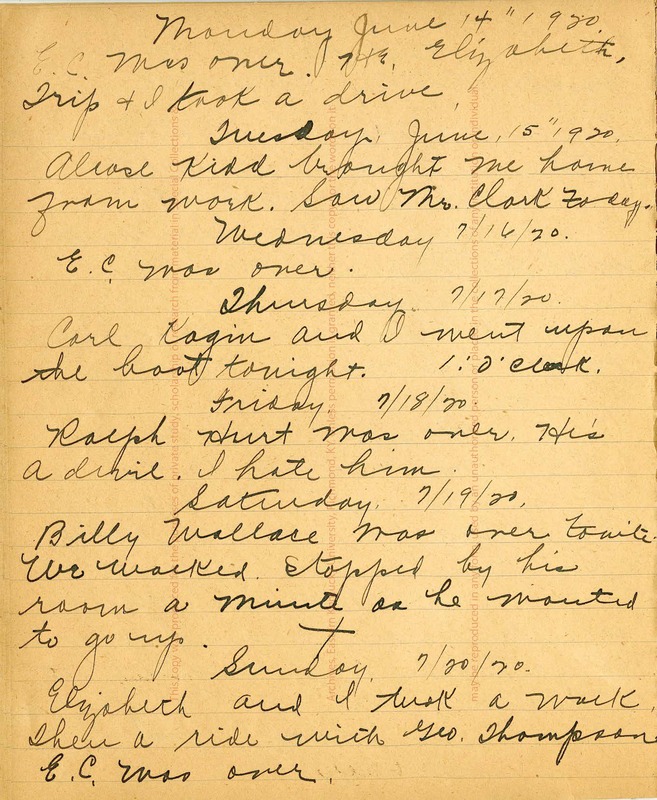 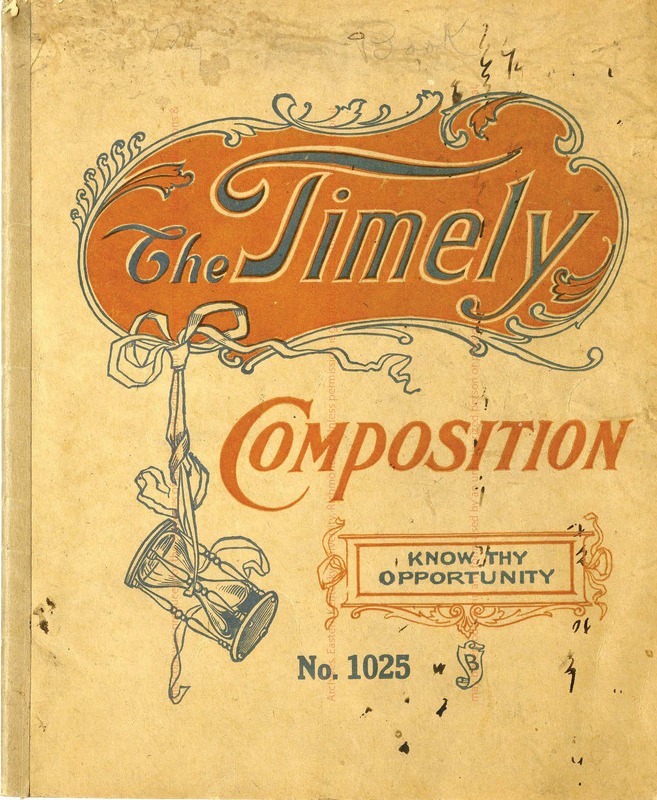 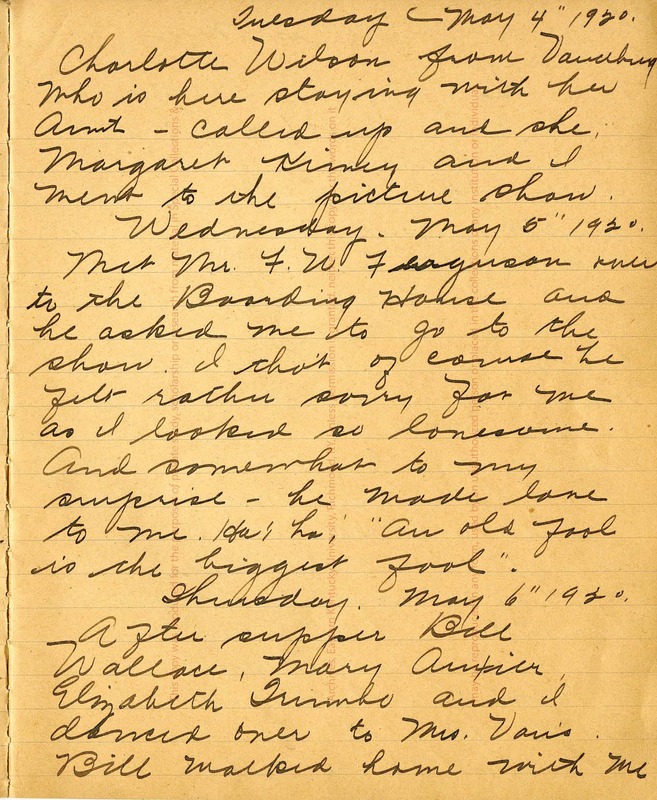 Wallace, Velma Nisius, “Velma Nisius Diary,” Digital Collections, accessed April 23, 2019, https://digitalcollections.eku.edu/items/show/27447.